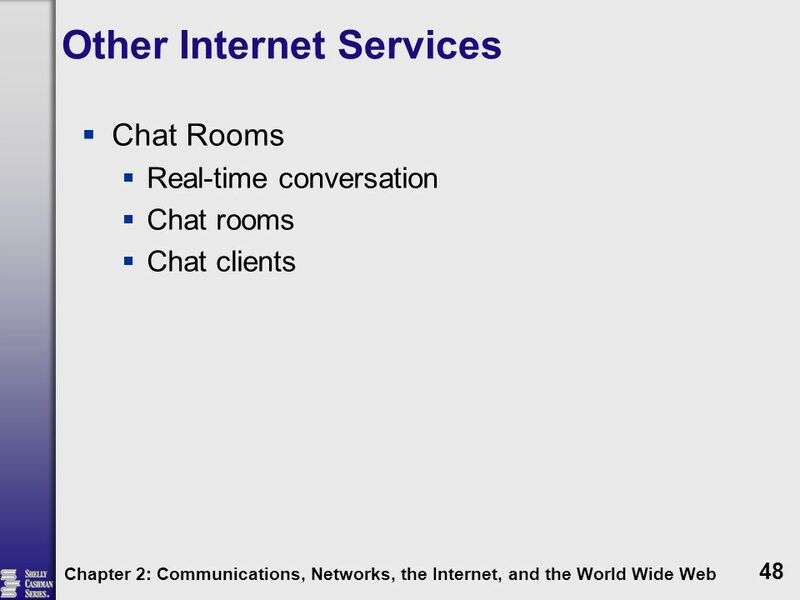 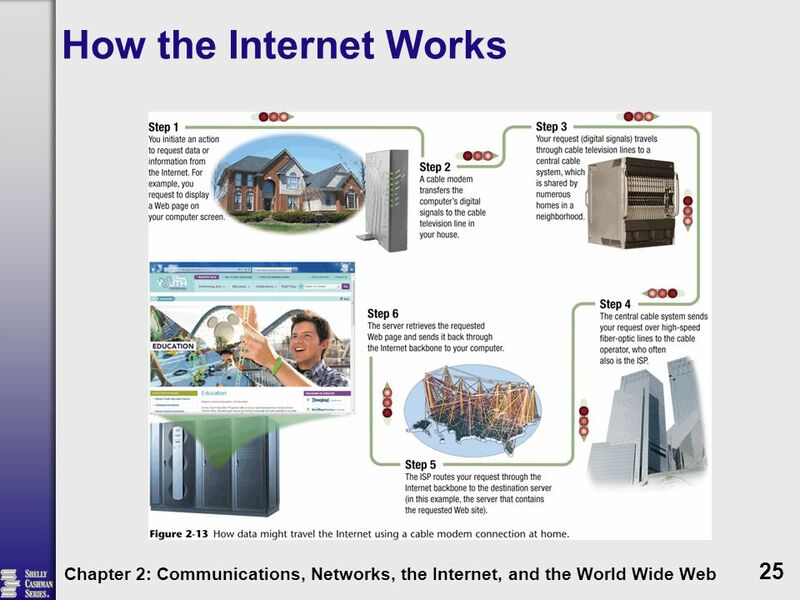 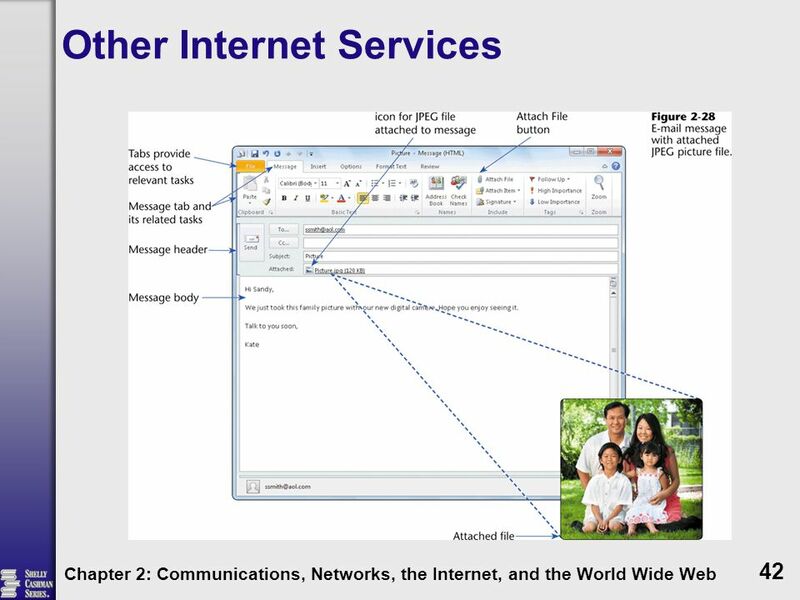 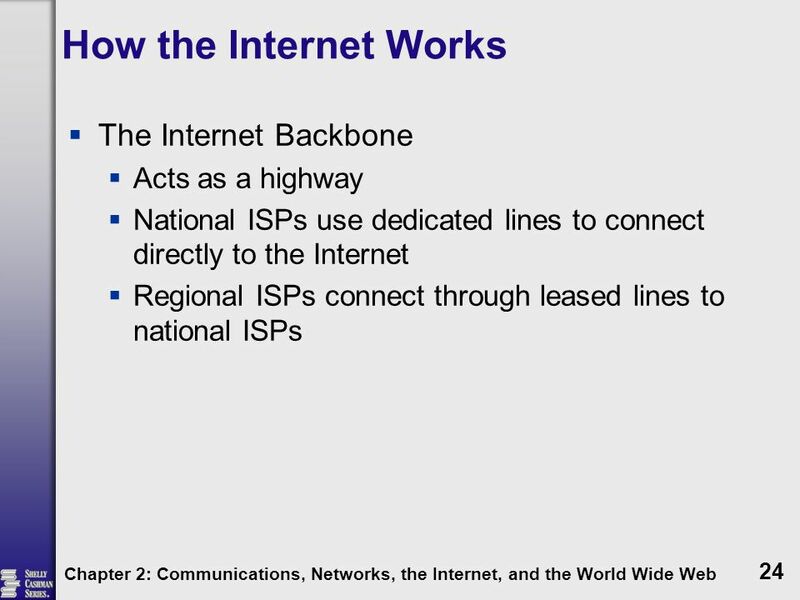 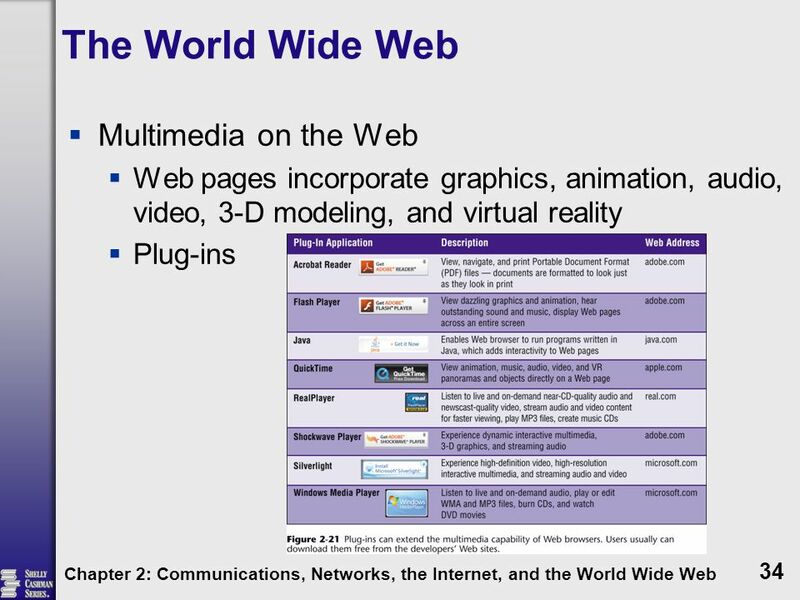 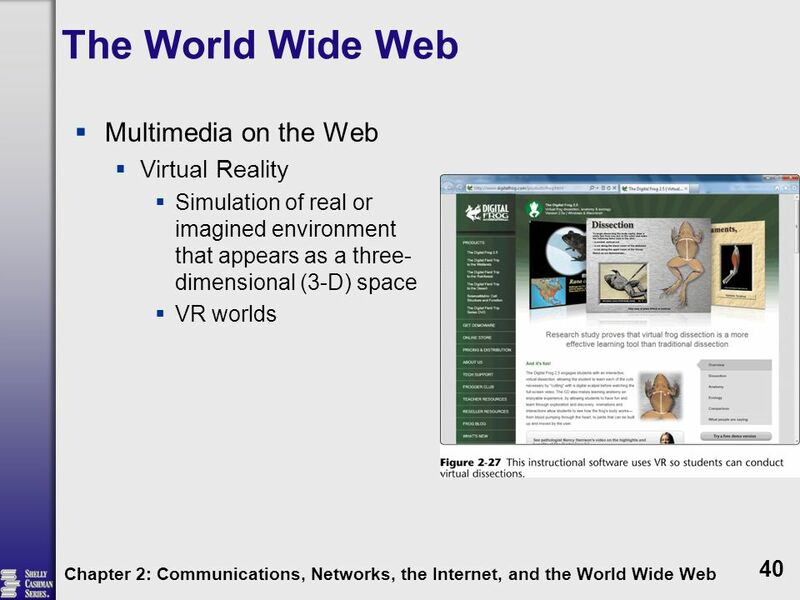 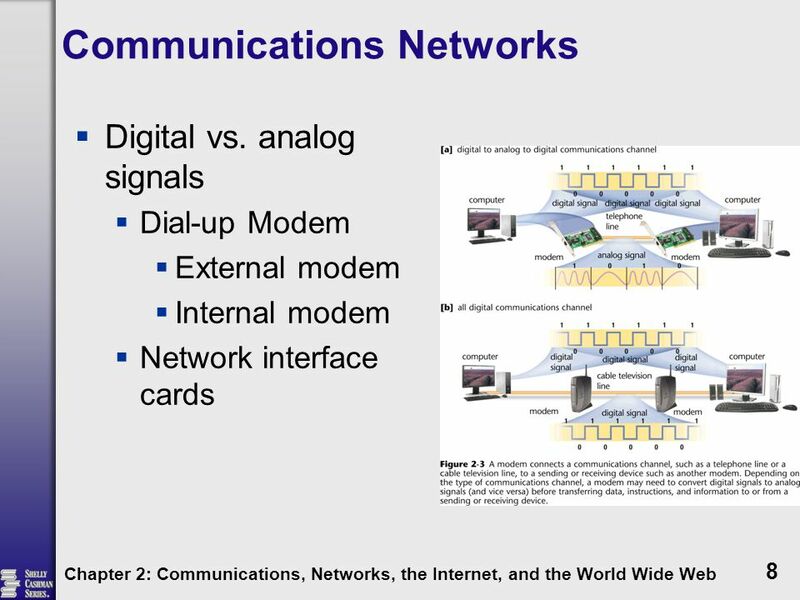 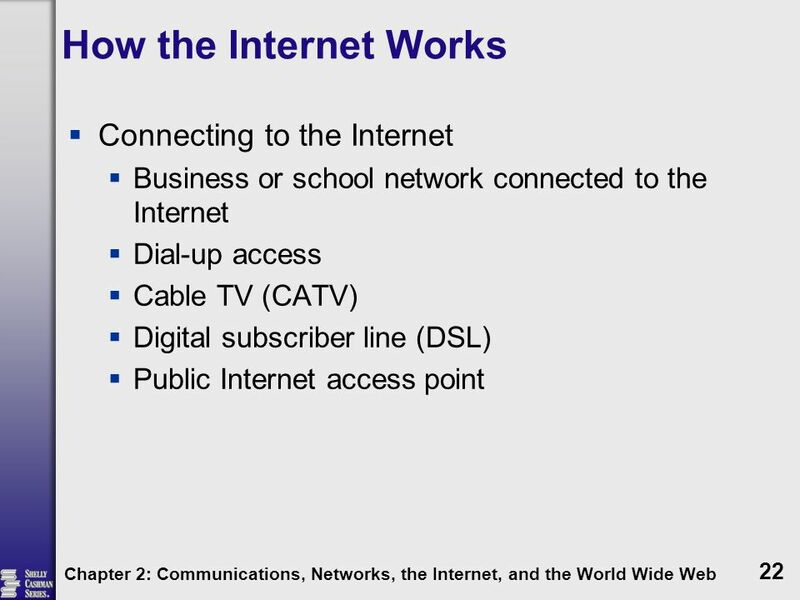 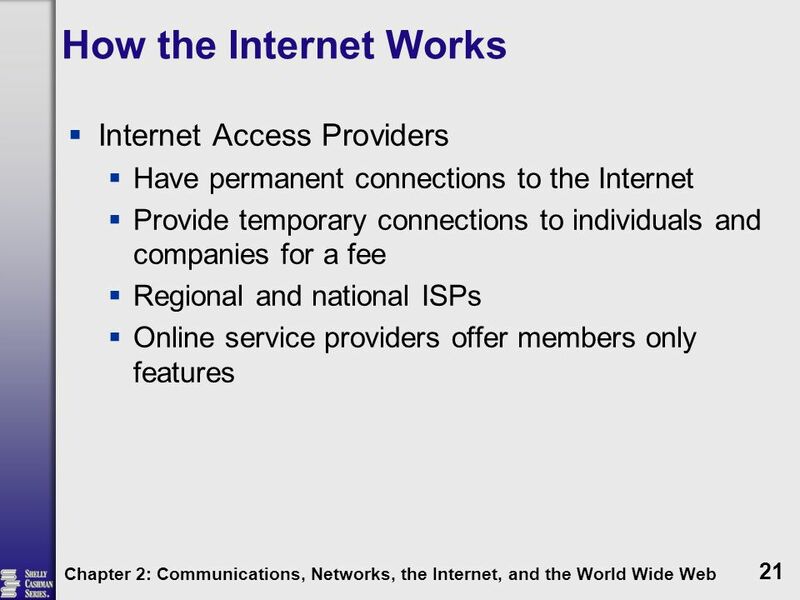 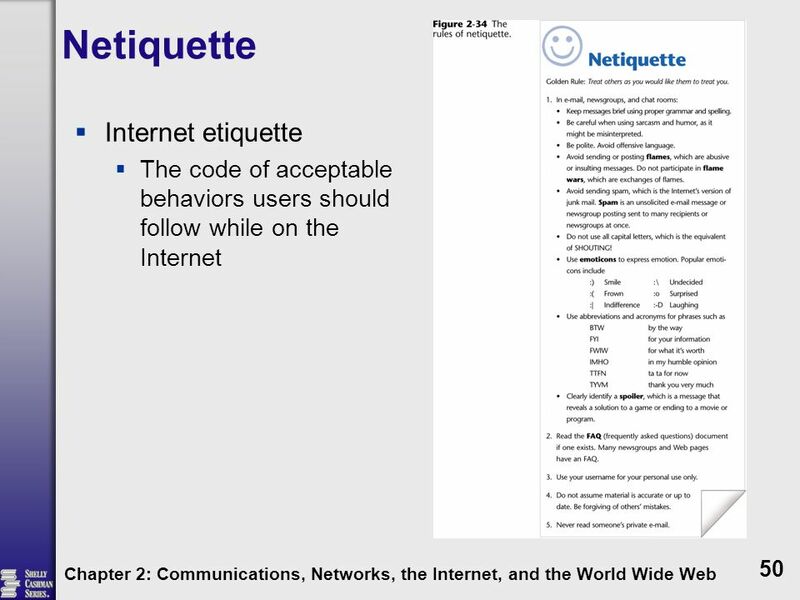 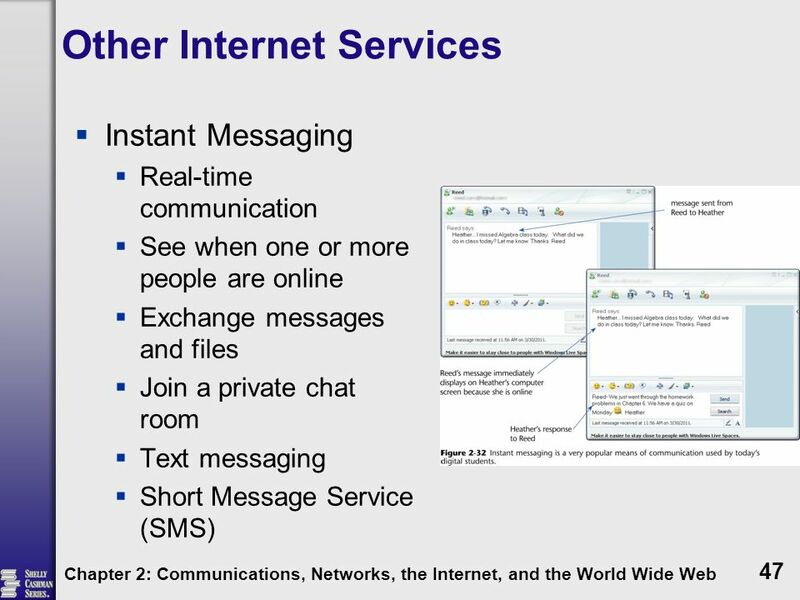 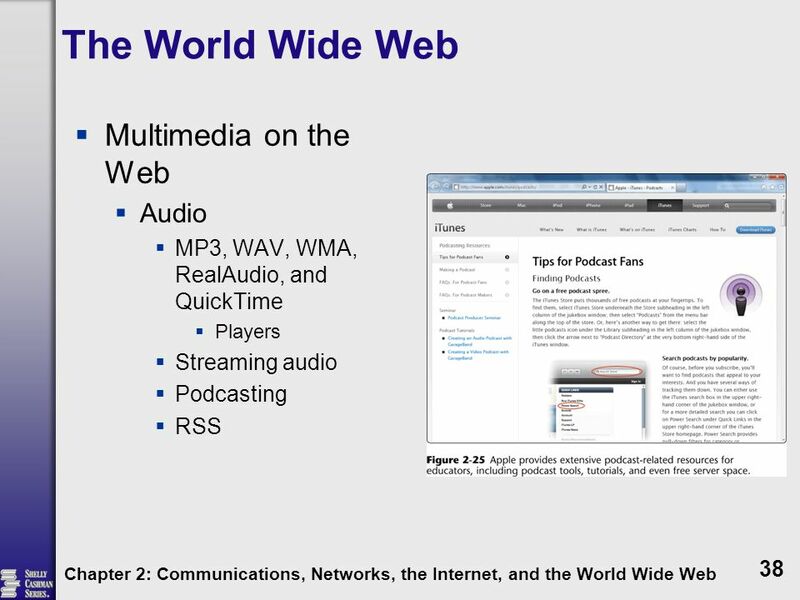 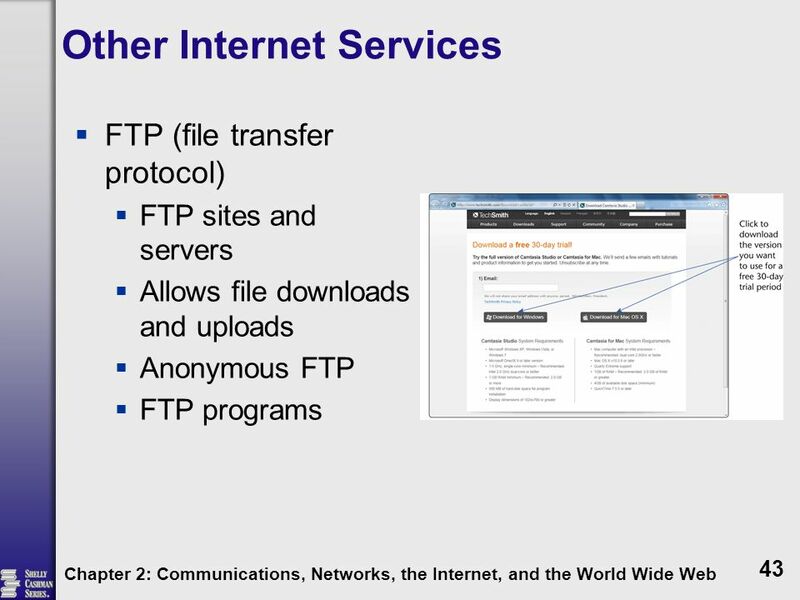 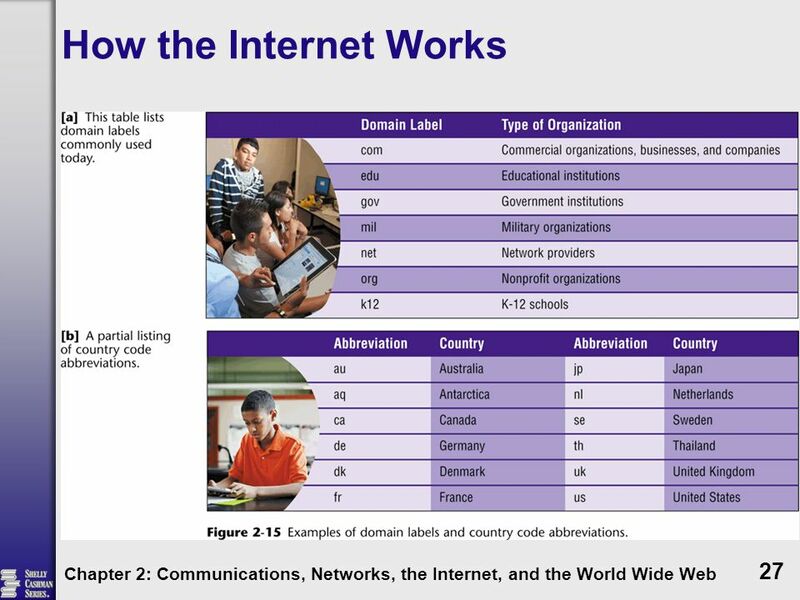 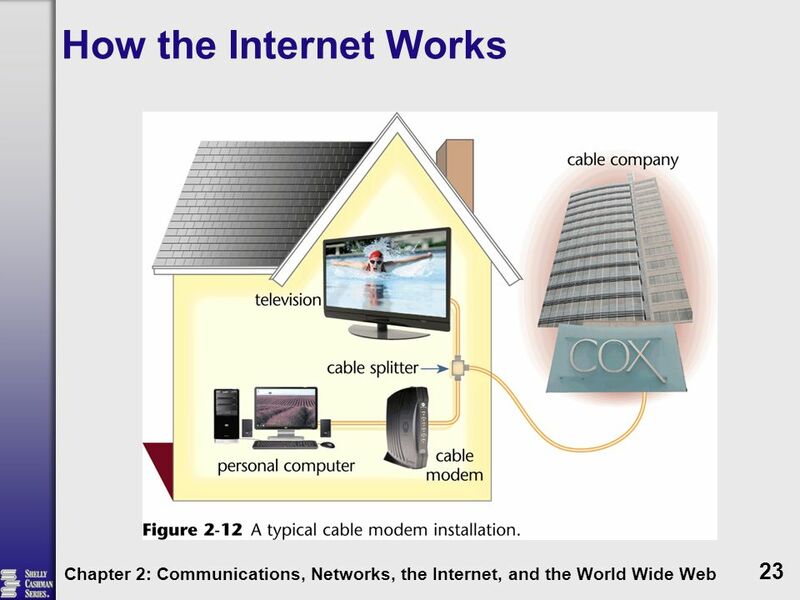 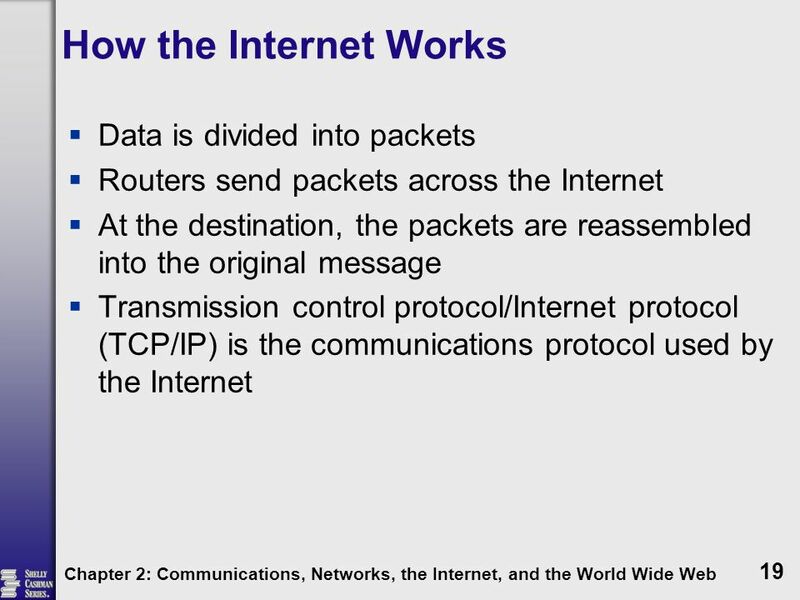 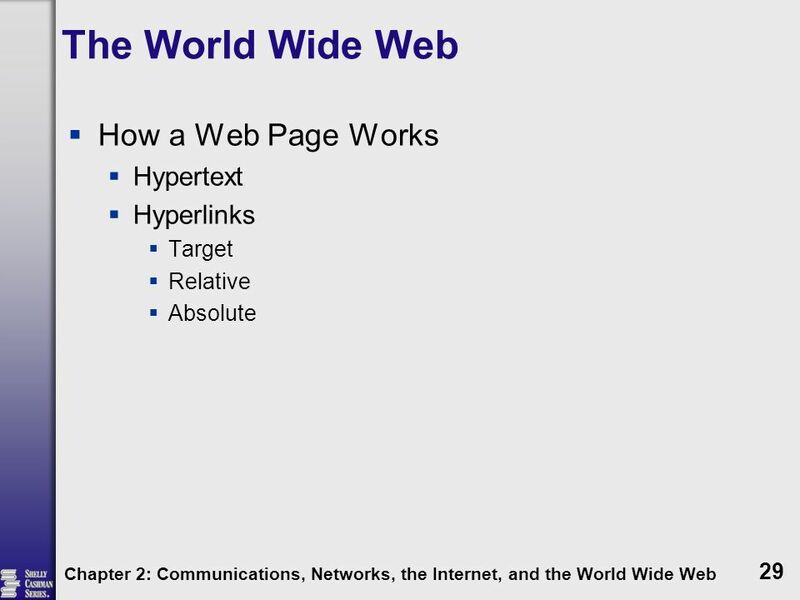 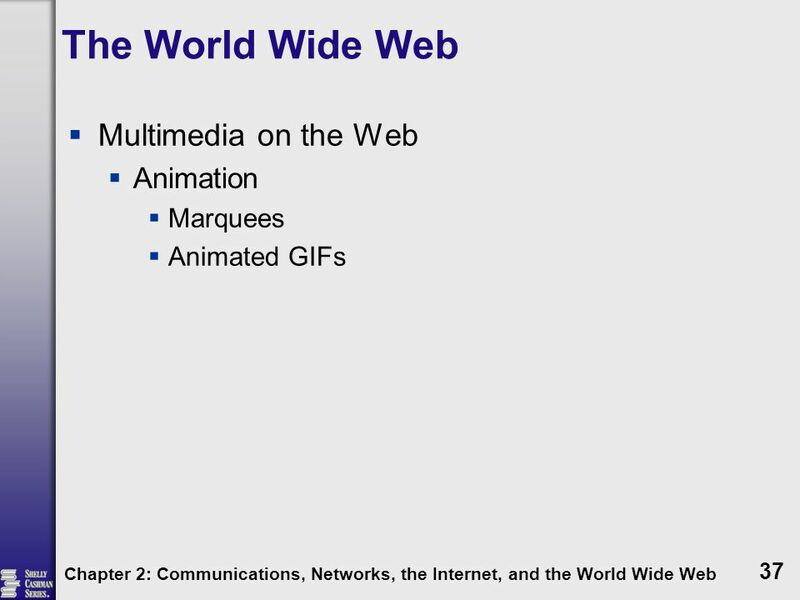 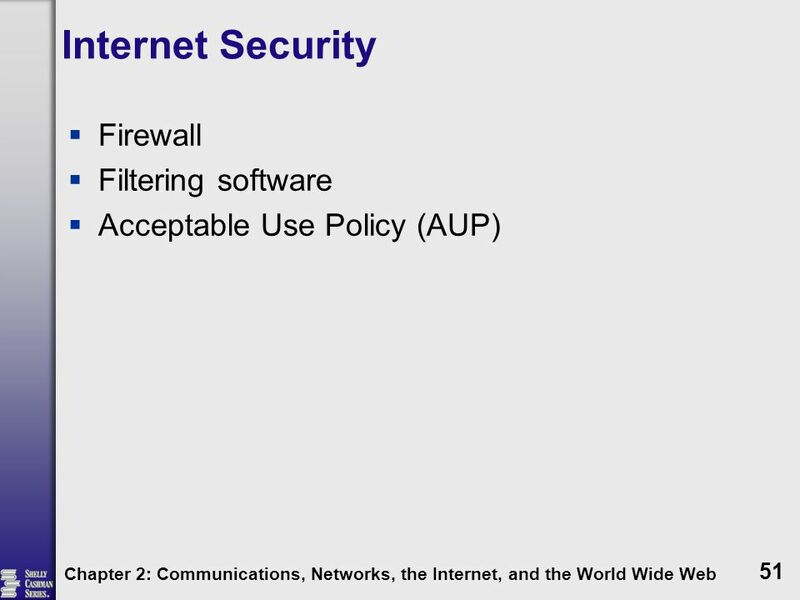 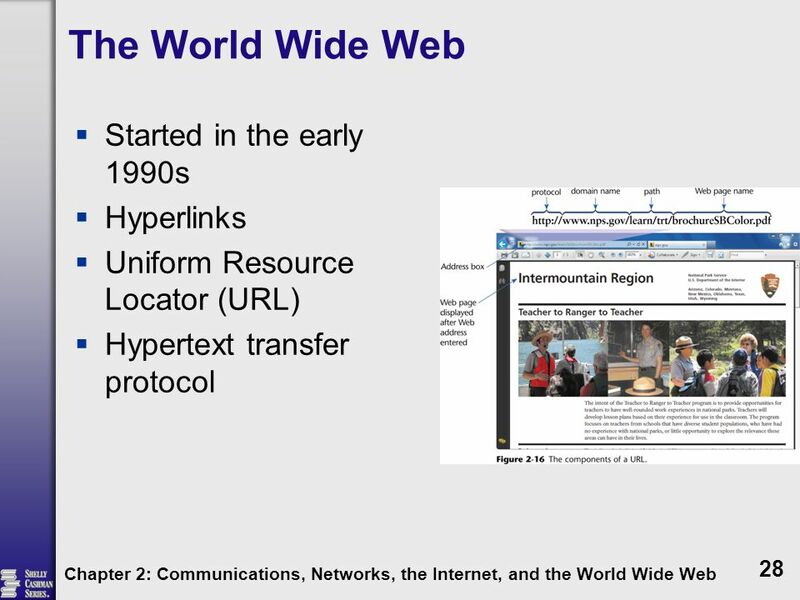 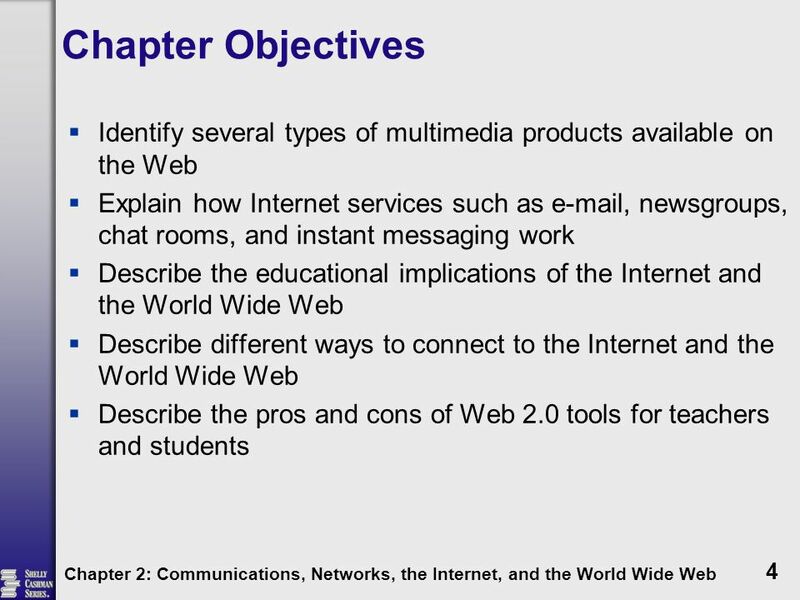 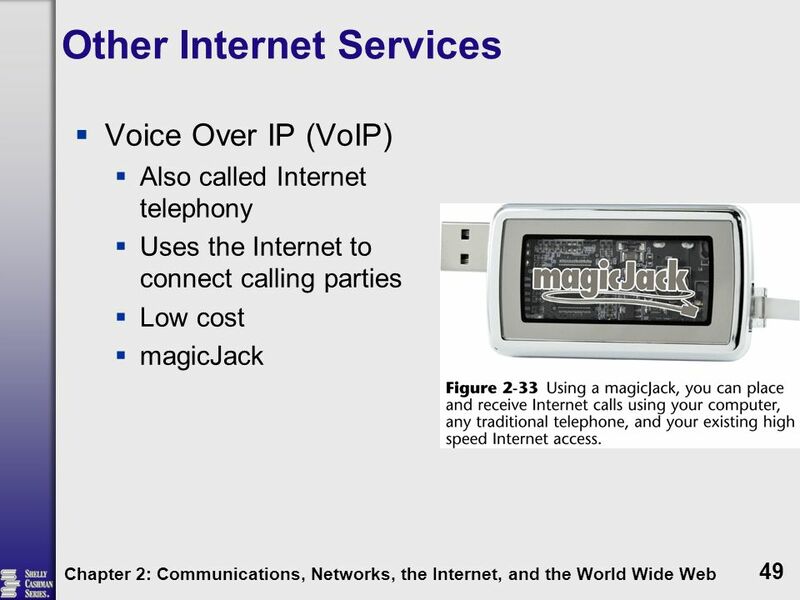 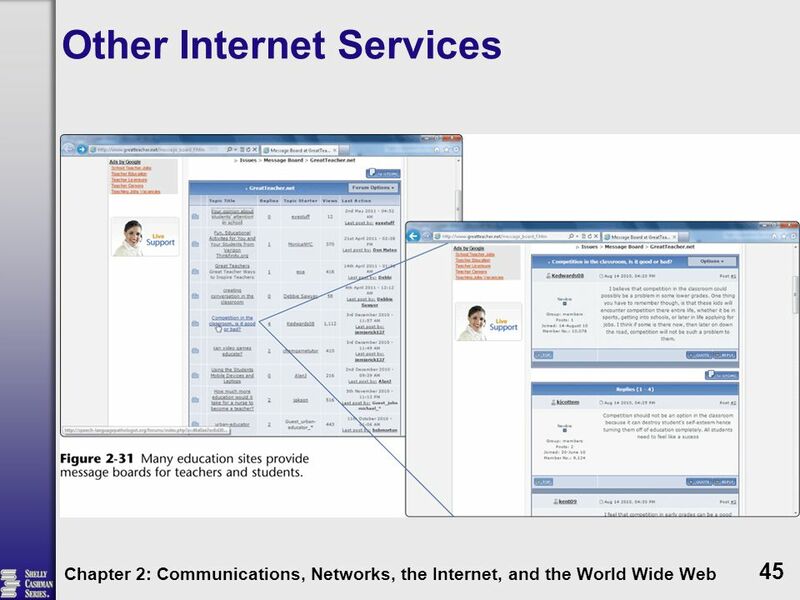 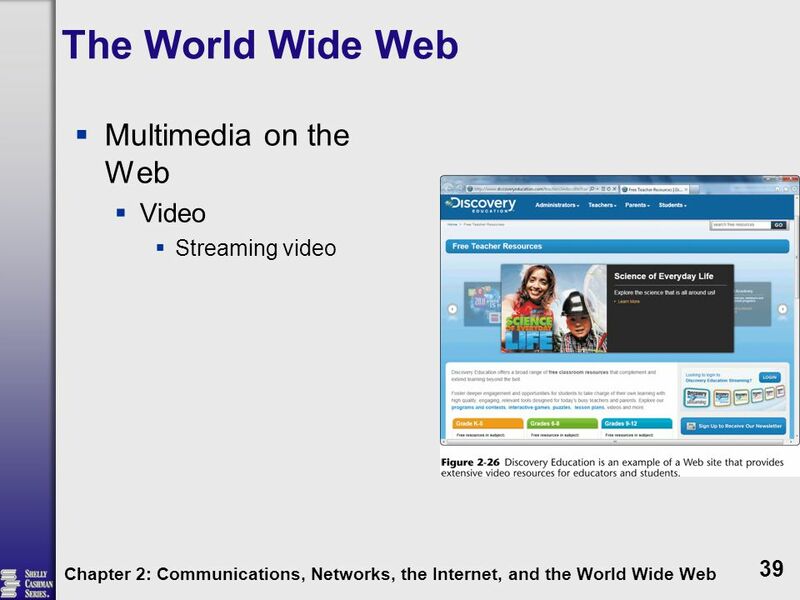 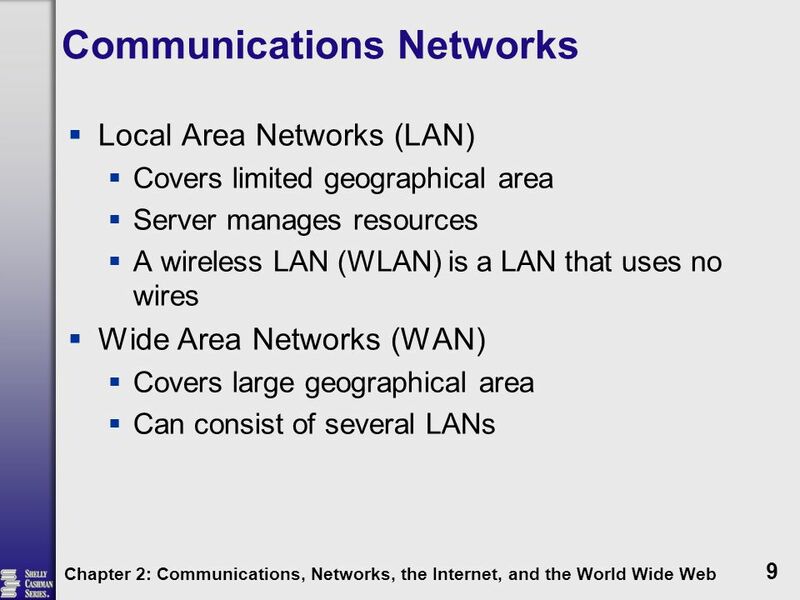 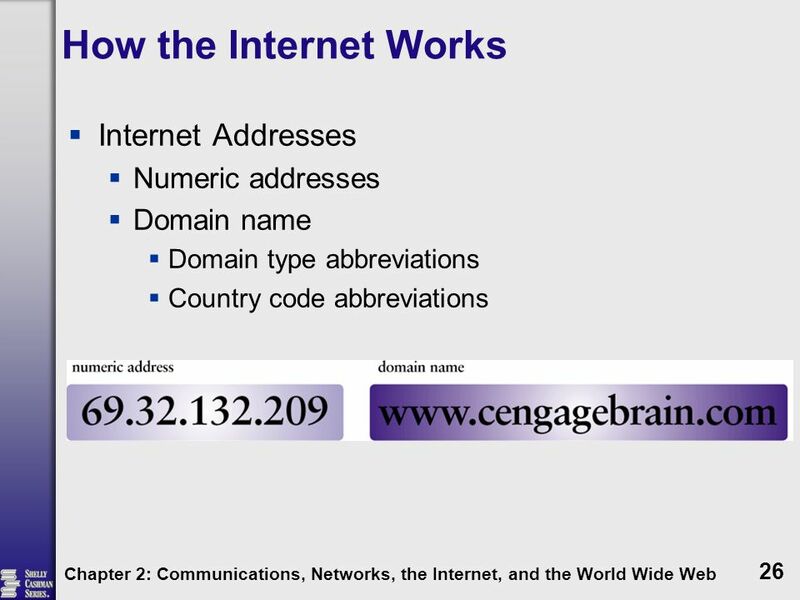 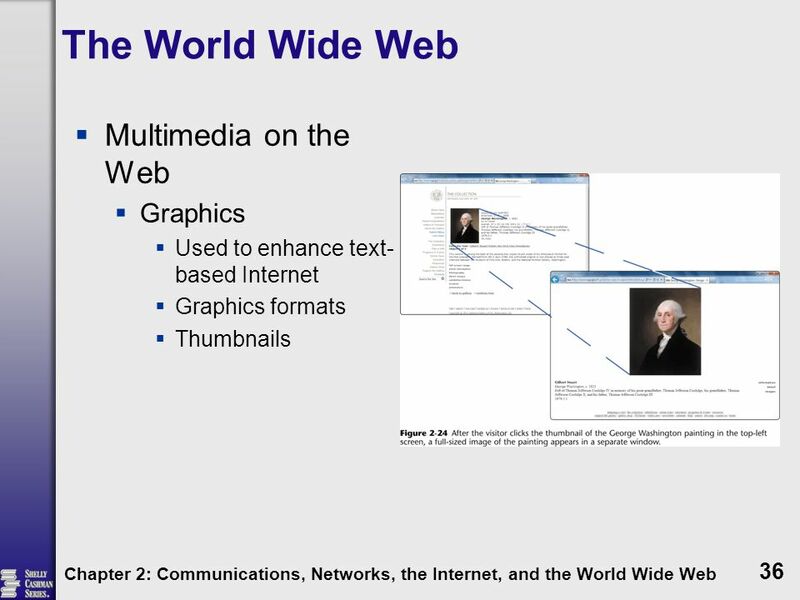 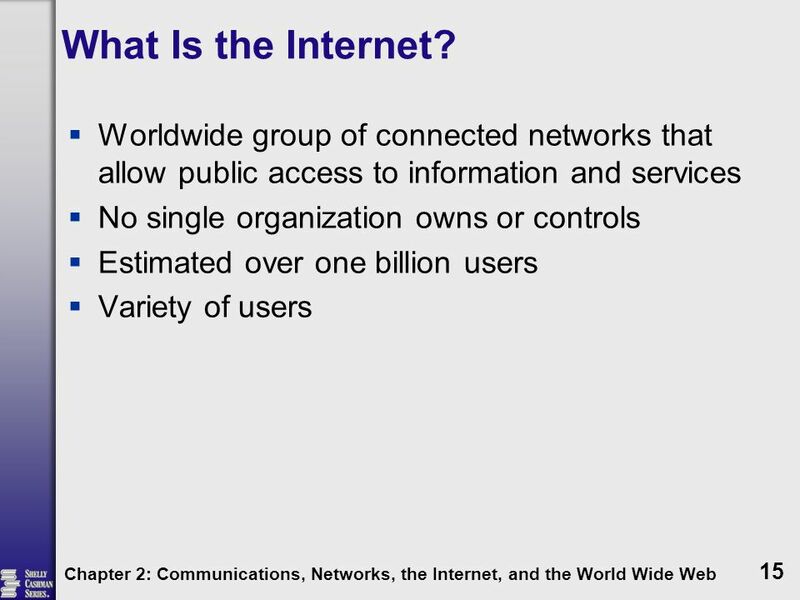 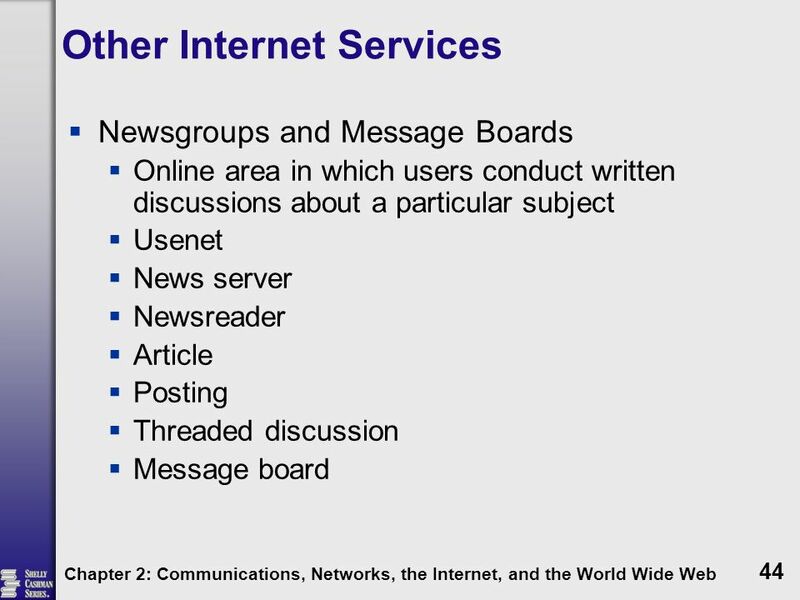 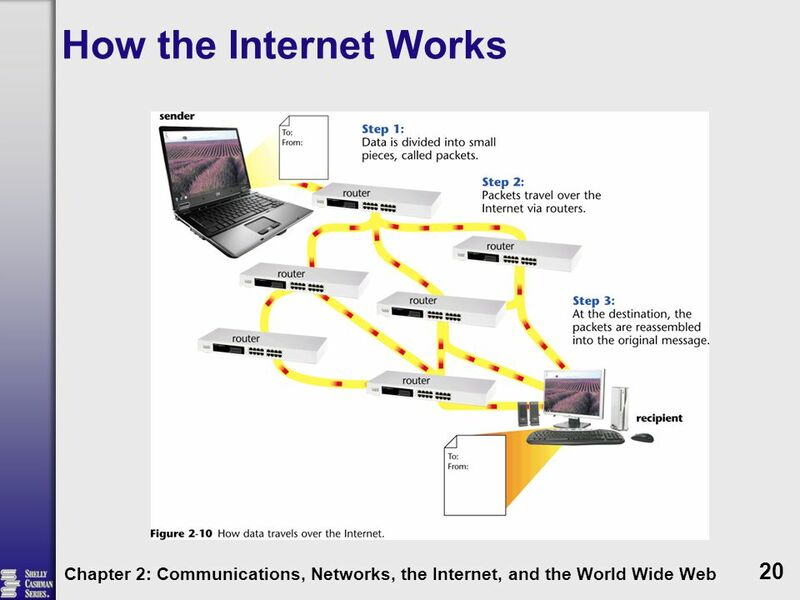 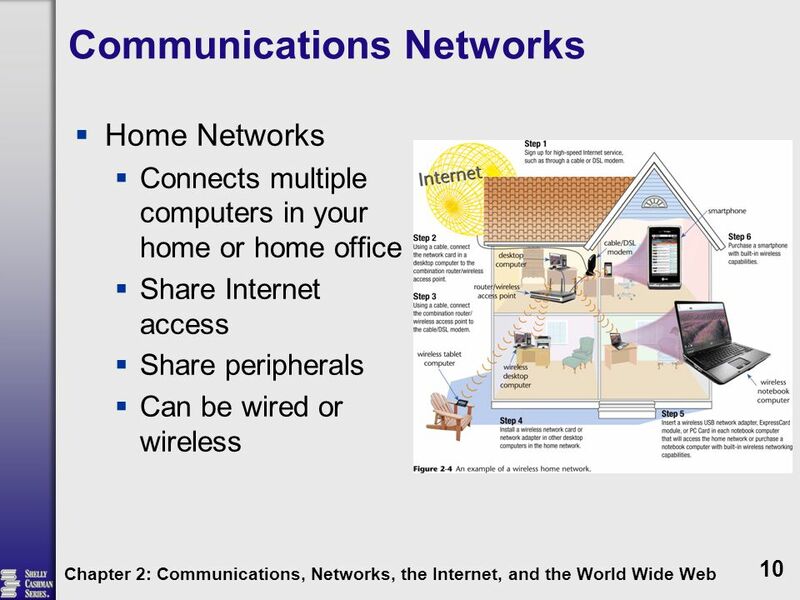 Download ppt "Communications, Networks, the Internet, and the World Wide Web"
Review of Chapter 2. 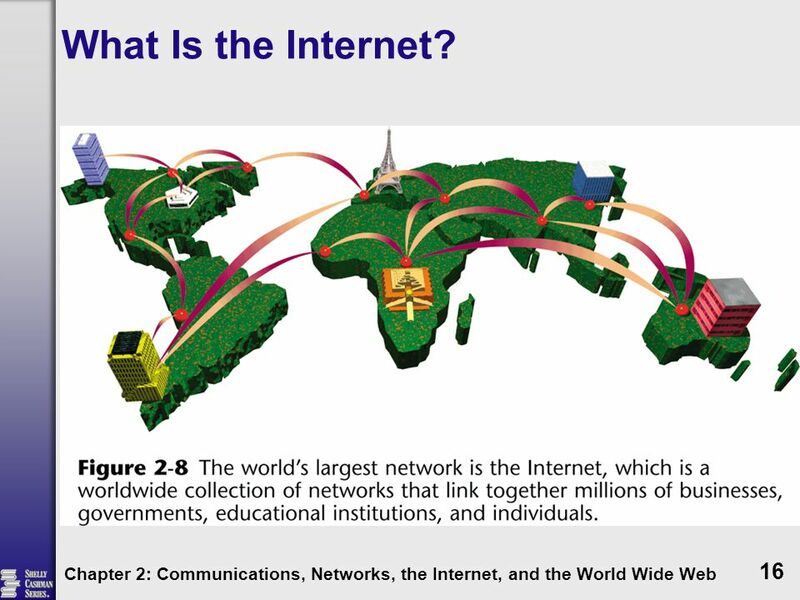 Important concepts – The Internet is a worldwide collection of networks that links millions of businesses, government agencies, educational. 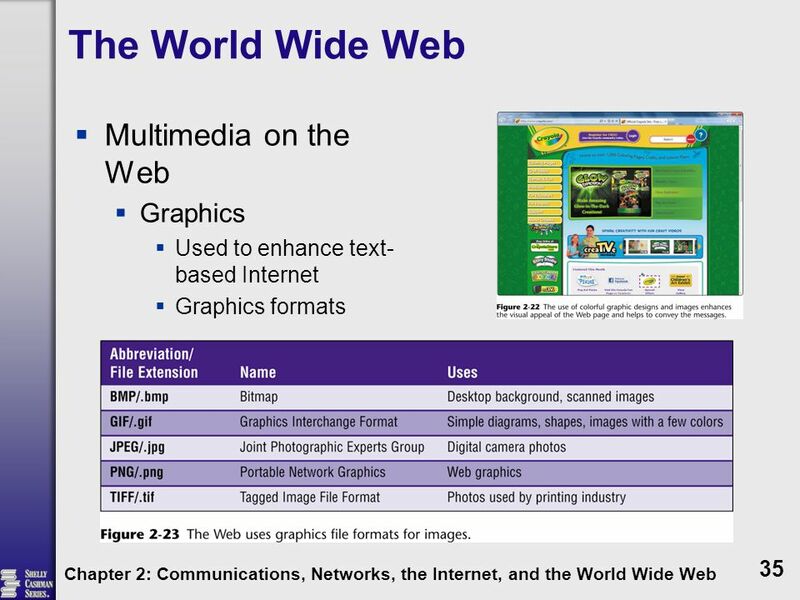 Your Interactive Guide to the Digital World Discovering Computers Fundamentals, 2012 Edition. 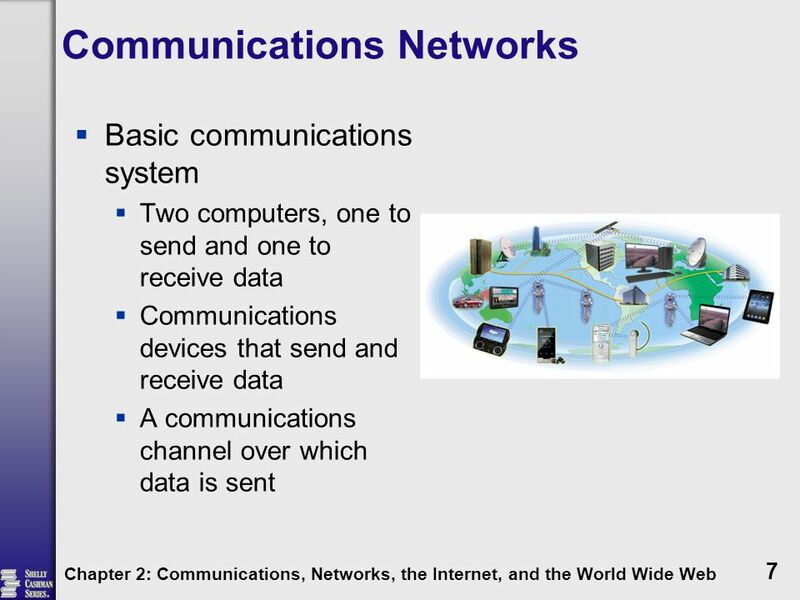 Principles of Information Systems, Sixth Edition The Internet, Intranets, and Extranets Chapter 7. 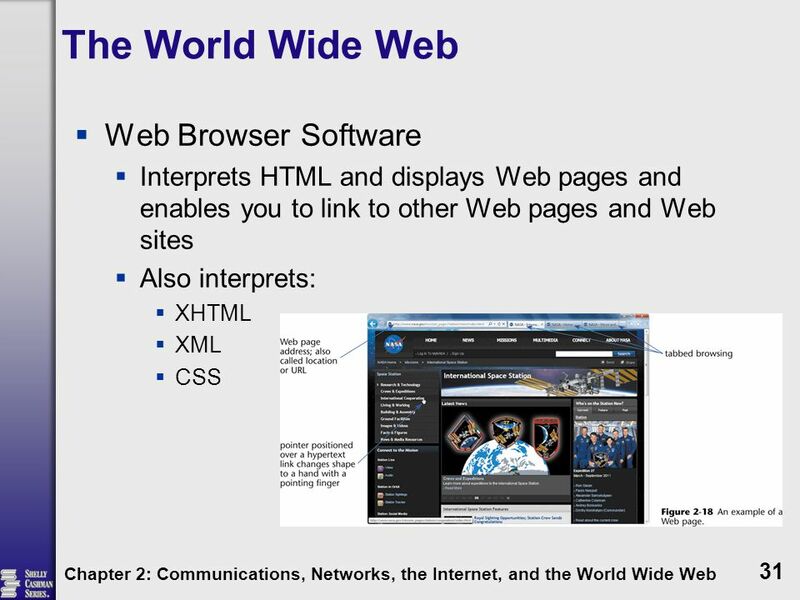 CIS 1300 – Web Design SoftwareMichael J. Losacco The Internet An Overview. 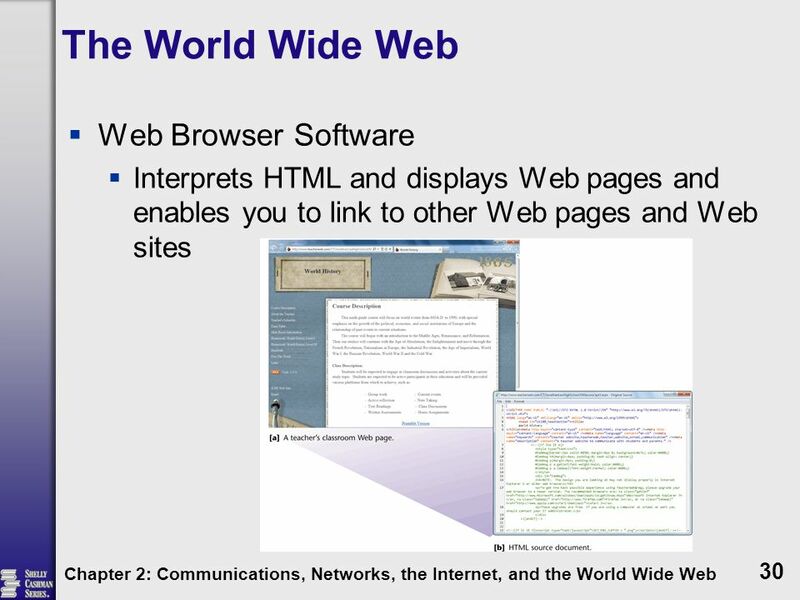 Professor Michael J. Losacco CIS 1110 – Using Computers Internet & World Wide Web Chapter 2. 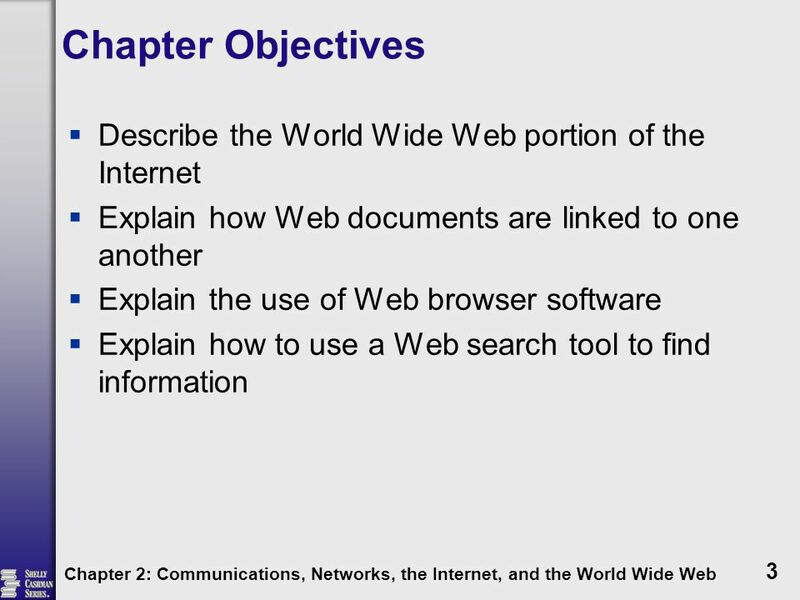 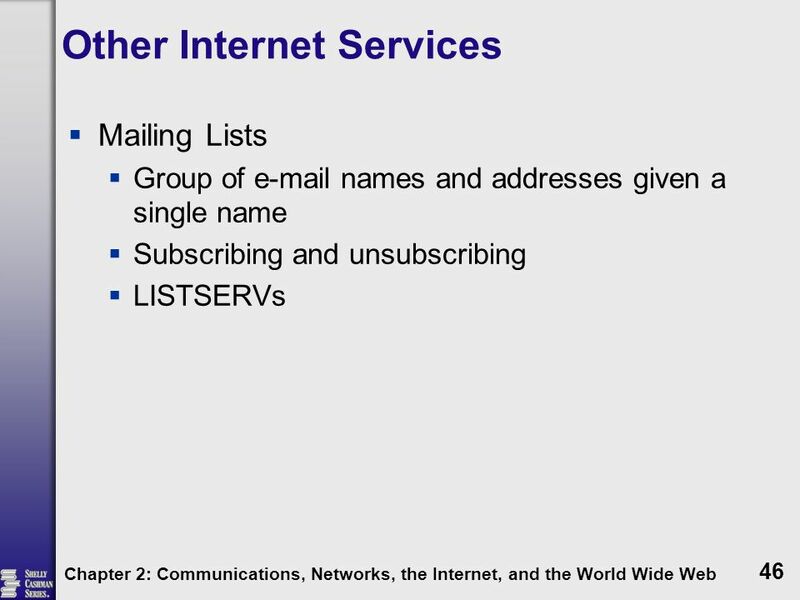 MSIS 110: Introduction to Computers; Instructor: S. Mathiyalakan1 The Internet, Intranets, and Extranets Chapter 7. 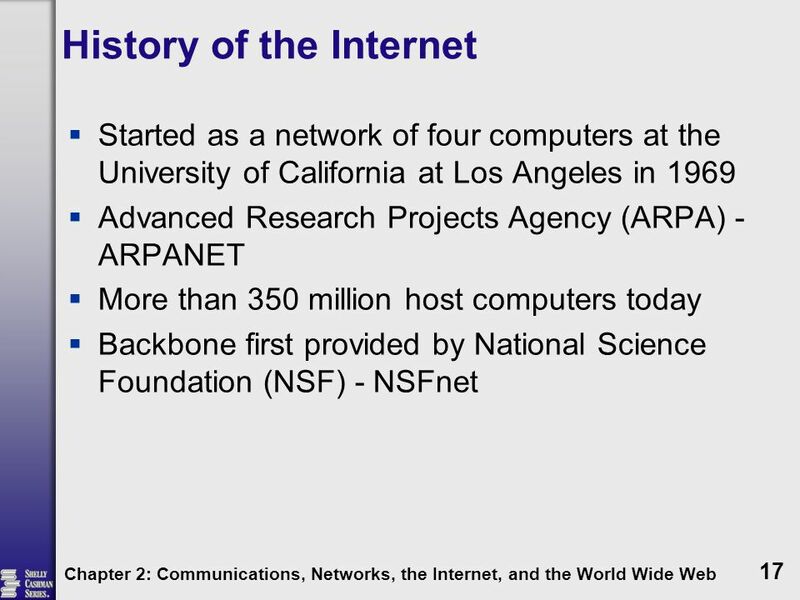 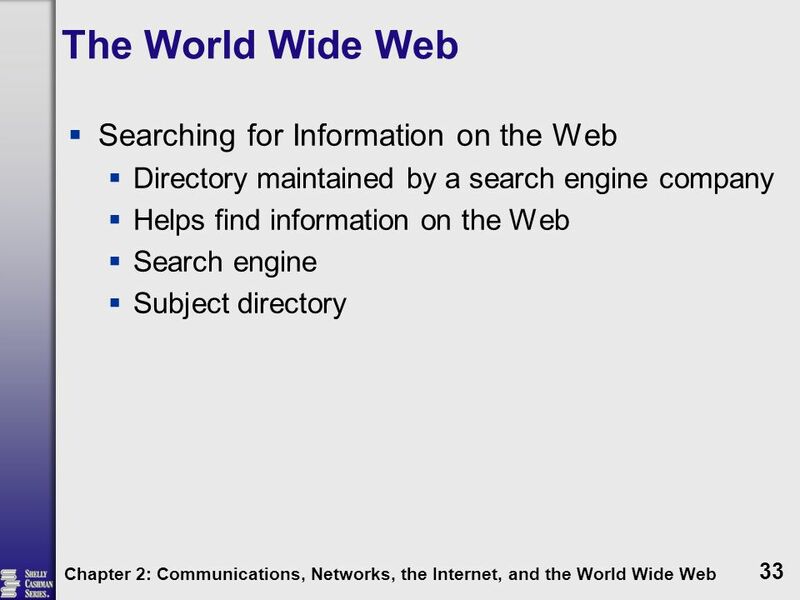 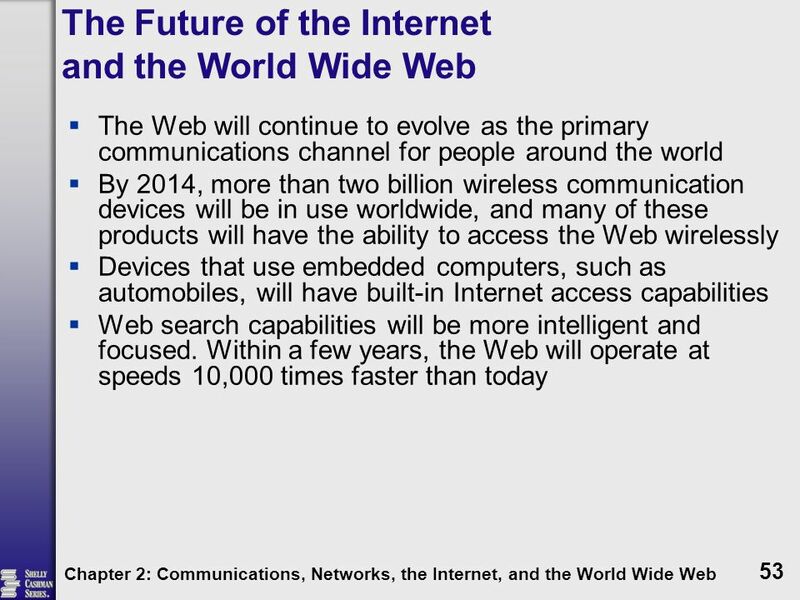 Discovering Computers Fundamentals Fifth Edition Chapter 2 The Internet and World Wide Web. 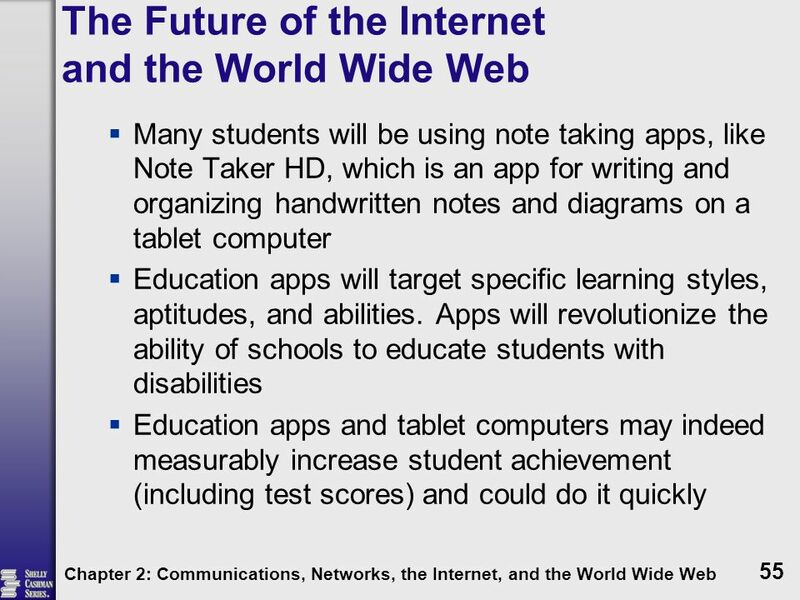 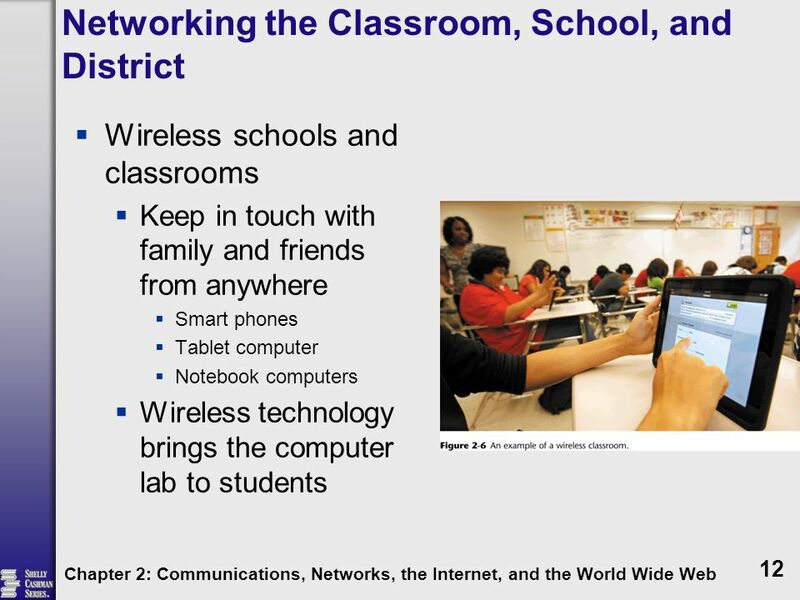 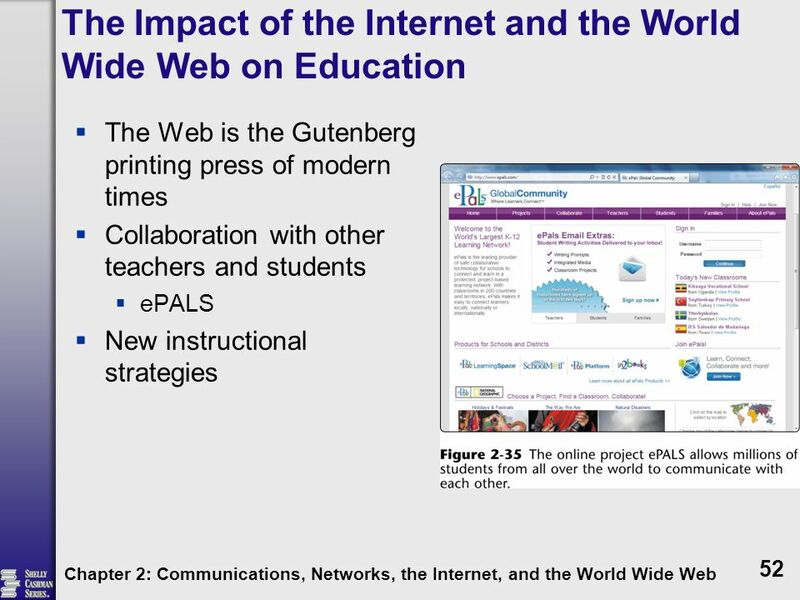 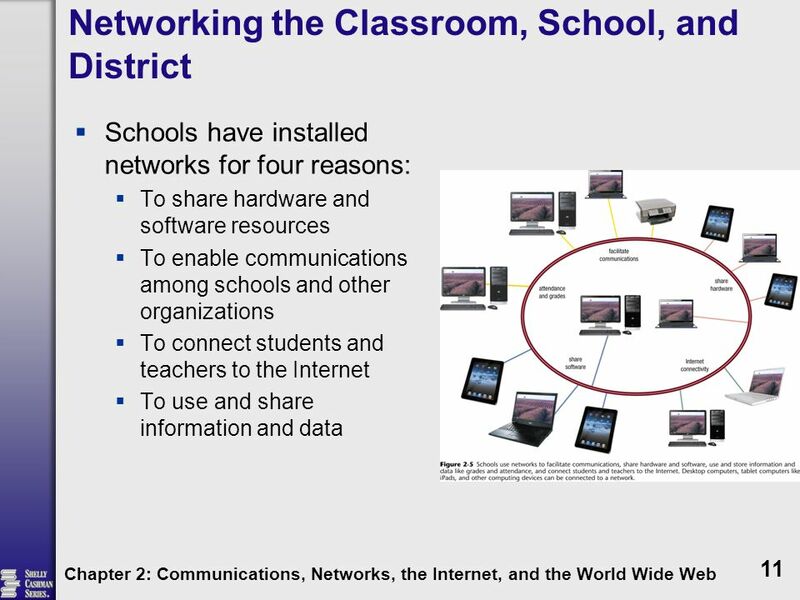 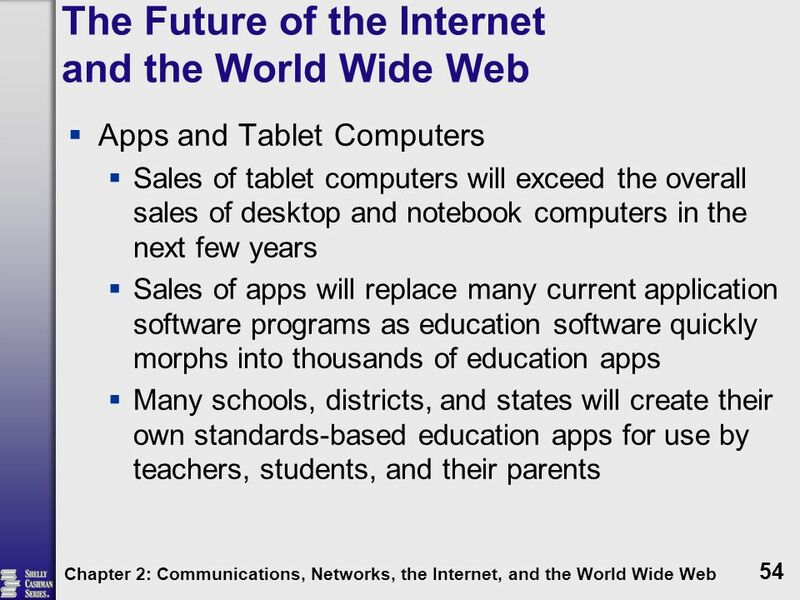 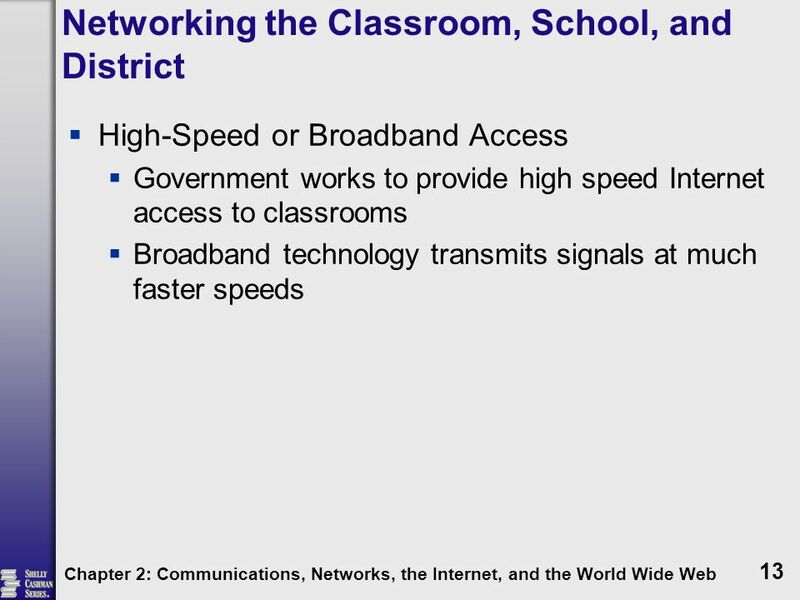 Teaching and Learning with Technology  Allyn and Bacon 2002 Networks and the Internet Chapter 7 Technology in Teaching and Learning. 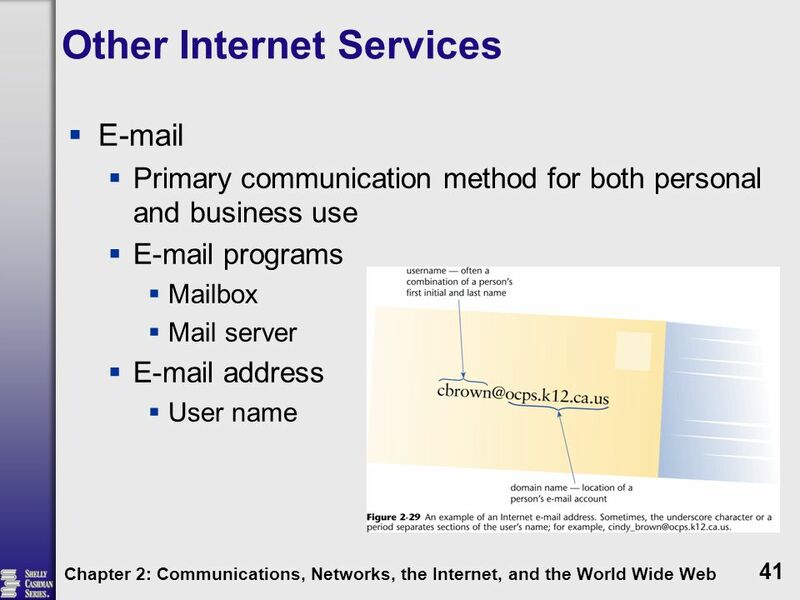 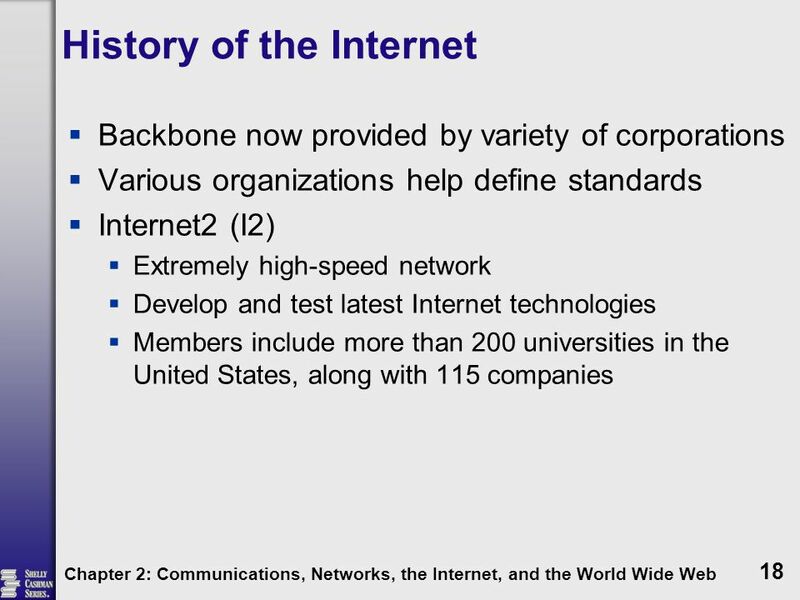 1 Telecommunications, the Internet, Intranets, and Extranets CSC101 SECTIONS 01 & 02. 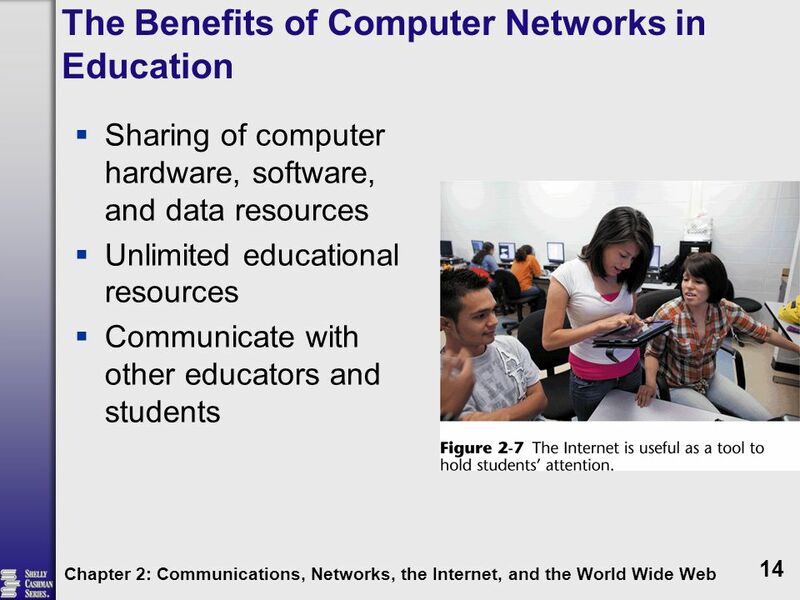 Teachers Discovering Computers Integrating Technology and Digital Media in the Classroom 6 th Edition Teachers Discovering Computers Integrating Technology. 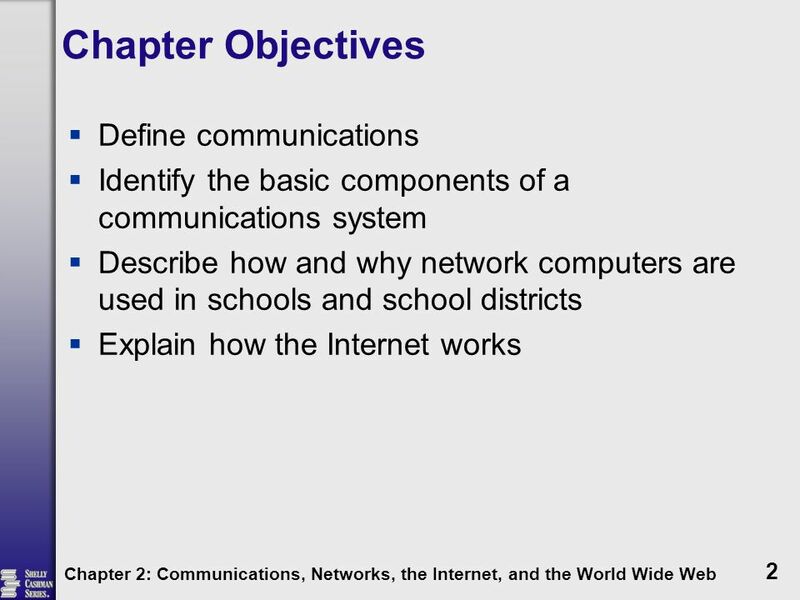 1 NETWORKS AND COMMUNICATIONS Chapter Four. 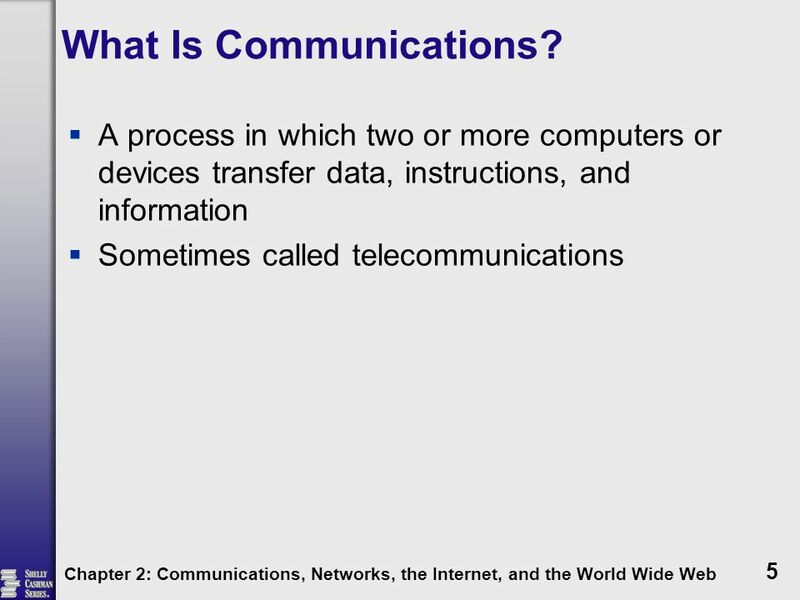 Communications Computer communication describes a process in which two or more computers or devices transfer. 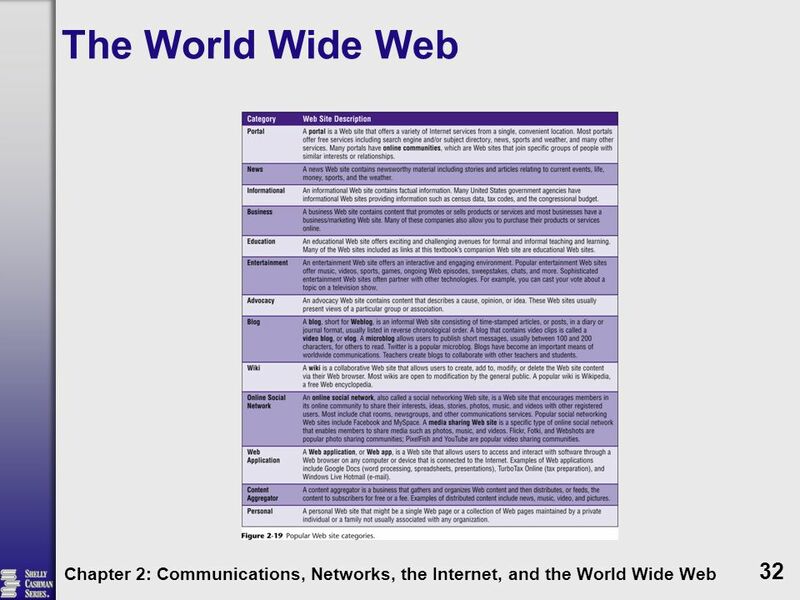 THE INTERNET AND WORLD WIDE WEB: Chapter 2 by Silvia Pereira. 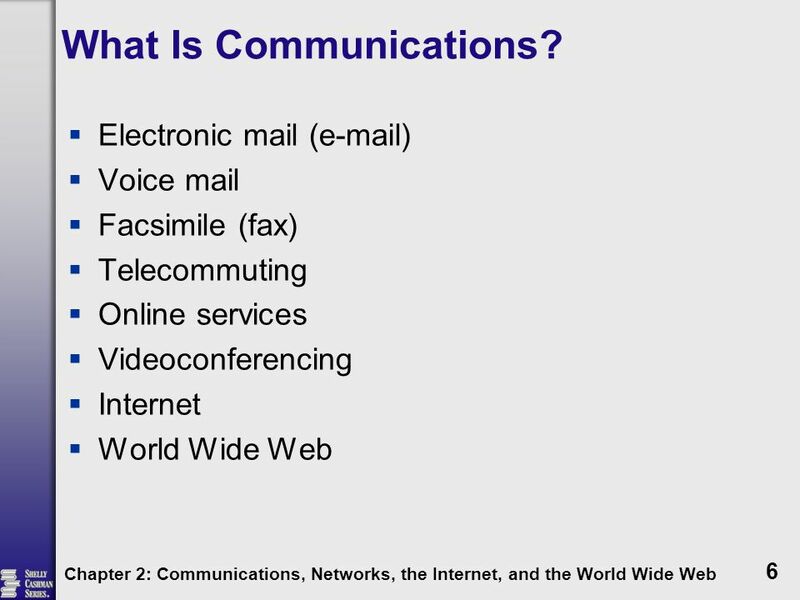 Chapter 4 – Slide 1 Effective Communication for Colleges, 10 th ed., by Brantley & Miller, 2005© Technology and Electronic Communication.